Paediatricians are facing potential jail sentences for reporting the mental condition of young children being sent to the centre after alledged sexual assaults, with even onshore detention centres creating the worst mental health problems doctors have seen. In 2014 the number of displaced persons increased 13.9 million, exceeding 50 million, a number which has not been reached since WWII. In 2015 there were 59.5 million displaced persons (19.5 million refugees, 38.2 million displaced persons, 1.8 million asylum seekers (UNHCR Global Trends 2014). One in every 122 people globally has been displaced by war. Australia’s humanitarian intake until 9 September 2015 was set at 13,750 per year. This figure was increased by 12,000 in Syrian and Iraqi refugees specifically as a response to the unfolding humanitarian crisis. The government has also announced $44 million extra for UNHCR, which estimates that the funding will support approximately 240,000 people with urgent needs. The incumbent Foreign Minister also proposes to bid for a seat on the United Nations Security Council in 2029-2030. Actual intake in 2014 was 11,970 humanitarian arrivals, representing just under 8% of the total permanent migration into Australia. 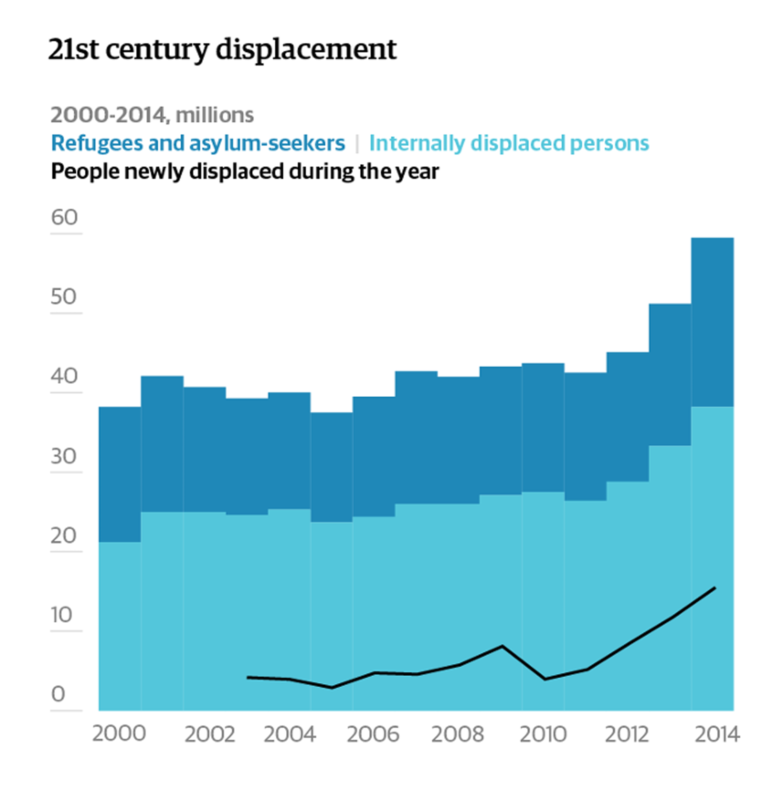 Syrian refugees made up the third largest intake of refugees in 2014, after Iraq and Afghanistan. Refugees made up only 0.05% of the population at the end of 2014. Any increase in intake, whether on the government’s or the opposition’s proposals, will increase Australia’s population by less than 0.1%. The ALP’s current policy with regard to asylum seekers is that once in government, it will provide $450 million over three years to support the UNHCR and increase Australia’s humanitarian intake to 27,000 by 2025 compared to the current government’s 13,750, an increase of 13,250, with a particular focus on refugees in the Asia-Pacific region. Significantly, ALP policy as it stands today proposes the development of a regional humanitarian framework, including support work for the UNHCR’s provision of basic needs, and advocacy for work rights for refugees. Current policy places specific focus on independently representing the interests of children and unaccompanied non-citizen children through the appointment of a dedicated advocate. It proposes to reinstate access to the Refugee Review Tribunal and abolish the Independent Assessment Authority with a view to re-introducing the ’90 day rule’. It proposes to abolish Temporary Protection Visas and grant permanent protection visas with a minimum of delay. The ALP maintains its position on offshore processing combined with fast and efficient processing, whistleblower protections, and independent oversight of processing facilities by the Commonwealth Ombudsman and bilateral agreements with the governments of Papua New Guinea and Nauru. It also maintains its position on turning back boats, “[p]rovided it can be done so safely”. The Liberal Party has only one paragraph in its platform in relation to refugees which reads: "to ...provide international aid and assistance, including a safe haven for refugees, within the limits of our national resources"
1. Provide $600 million over three years to support the important work of the UNHCR. This funding commitment would place Australia in the top 5 of global contributors to the UNHCR. 2. Reinstate references to the UN Refugees Convention in the Migration Act. 3. Leadership role within South East Asia and the Pacific to build a regional humanitarian framework to improve the situation of asylum seekers. 4. By 2025, increase Australia’s annual humanitarian intake to 30,000 – almost double the current intake. Proportional to population with other OECD countries, Australia should be taking in 50,000 at 2014 rates: see Appendix A. 5. Free children from detention. 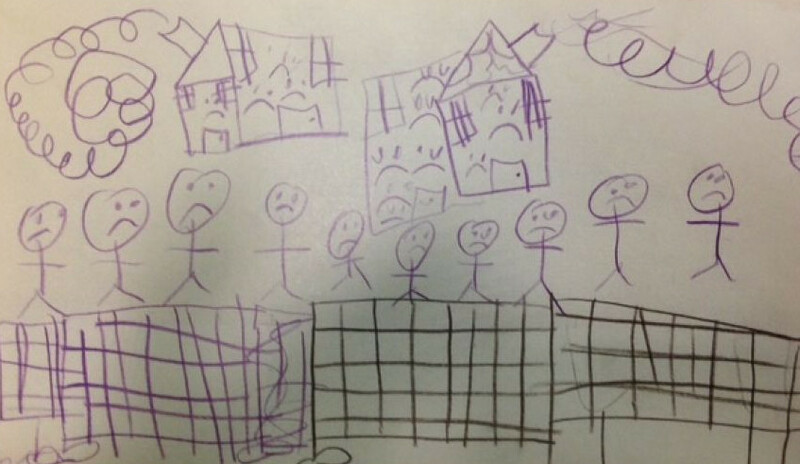 Provide a strong independent voice within government to advocate for the interests of children seeking asylum. Appoint an advocate independent of the Department of Immigration and Border Protection backed by the resources and statutory powers necessary to pursue the best interests of those children, including the power to bring court proceedings on a child’s behalf. 6. Reinstate the Refugee Review Tribunal and abolish the Independent Assessment Authority. 7. Offshore facilities should be converted to reception centres. They must be humane and offer people seeking safety exactly that. Fast and efficient processing should occur so that claims for protection can be determined quickly and fairly. 8. Implement independent oversight of Australian-funded processing facilities. 9. Abolish TPVs which keep people in a permanent state of limbo. 10. Maintain the policy of non-refoulement. 11. All holders of bridging visas shall be allowed to work and to be eligible to receive Medicare benefits and education rights through all stages of the refugee determination process including humanitarian requests to the Immigration Minister stage. 12. Repeal legislation on the excision of outlying islands from Australia's migration zone. 1. End private contracting of Manus Island and Nauru asylum seeker processing and convert camps into public housing reception centres with an eventual expansion into Asia and the Pacific Islands with several such centres, funded in large part by Australia and the UNHCR. 2. Continue operations on refurbished Manus Island and Nauru reception centres, with a view to closing facilities in response to established regional processing mechanism. 3. Allocate asylum seeker processing to Australian-supported UNHCR operation. 4. Repeal legislation on the excision of outlying islands from Australia's migration zone. 5. Noting that retention of the Christmas Island facility contravenes the relevant UNHCR guidelines, the Christmas Island detention centre shall be closed and all processing of asylum seekers shall thereafter be carried out on the Australian mainland or through the regional processing mechanism referred to above. 1. Work directly with Indonesia in particular on Australian supported, UNHCR-run, IOM-supported regional processing of asylum seekers in transit countries. Australia should build both a processing centre and public housing for the asylum seekers who await processing & dispersion to other countries. 2. Work with other regional countries on Australian supported UNHCR-run, IOM-supported regional processing facilities. 3. Work in cooperation with Indonesia towards ending unilateral turn-back policy (ensuring boats do not leave in first instance). 4. Work in cooperation with Indonesia on intercepts of people smuggling operations. 5. Seek cooperation with Indonesia on tightening visa entry requirements. 6. Encourage other countries in the region which are currently non-signatories (Indonesia, Malaysia, Singapore, Myanmar, Thailand, India, Bangladesh, Vietnam, Nepal) to become party to the Convention relating to the Status of Refugees to provide the necessary minimum legal rights for asylum seekers. 1. A UNSC Chapter VII mandated response to Daesh and like groups, and other sources of conflict through the international legal norm of a Responsibility to Protect. 2. Take the lead in establishing global warning and response unit to identify and defuse potential conflict, and the creation of UN-backed resolution and mediation mechanisms (e.g. Crisis Management Initiative, International Crisis Group), to stem and reduce the numbers of refugees escaping long-term unstable situations. 3. International support for post-conflict civic political processes to sustain peace, once it is achieved. Commenting on this Story will be automatically closed on April 3, 2016. Thanks for this proposal. There is no doubt we need to find a way out of this moral morass. 1. People found to be refugees would be resettled in all UNHCR signatory/refugee accepting countries, including, proprortionately, Australia, as we currently do. The levels would be changed, however, to reflect our relative responsibility (minimum 30,000, potentially up to 50,000). 2. Assistance for PNG would continue under Australia's aid program. 3. The intention is that refugee status processing would be undertaken quickly and efficiently in 2nd country UNHCR run camps, including in Indonesia and probably Malaysia. I like to add http://bit.ly/1R3MiYB as an urgent action. Pointers to updates etc. are welcome. * A Labor government would quadruple funding to the United Nations High Commissioner for Refugees. Australia currently gives $25 million a year to the UN refugee agency - Labor would lift this to $100 million a year. * Labor would triple the number of federal police officers working overseas to shut down people smuggling operations at their origins. * Mr Shorten confirmed he would increase the annual refugee intake to a total of 32,000. This increase would occur through expanding the community sponsorship program. Labor would increase this program from 1000 to 5000 places over time. * Labor also affirmed its existing policy to increase the government-funded refugee intake to 27,000 from 18,750 by 2025. It did not put a time frame on increasing the community-sponsored program.